Frank Smith’s experience includes playing at the collegiate level, coaching at the high school and youth levels, as well as an accomplished personal fitness and team sports trainer, and owner of FM Sports, LLC in Redmond, WA. His athletic attributes include former all around football player and infielder at Oak Harbor HS, earning first team All-Wesco 2x in baseball and first team All-Wesco in football as a senior. Following High School, Coach Smith attended Washington State University where he continued his passion for baseball, graduating with a degree in physical education and history. Coach Smith is also Head Coach of the FM Sports 16U team and General Manager of FM Sports Baseball Club which has 7 teams (13U, 14U, 15U, 15U green, 16U and 18U). His coaching experience includes 16 years with FM Sports Baseball Club 2004-present), 5 years at Inglemoor HS, including 2 KingCo titles and the school’s first ever #1 state ranking “2009” (2007-2012). 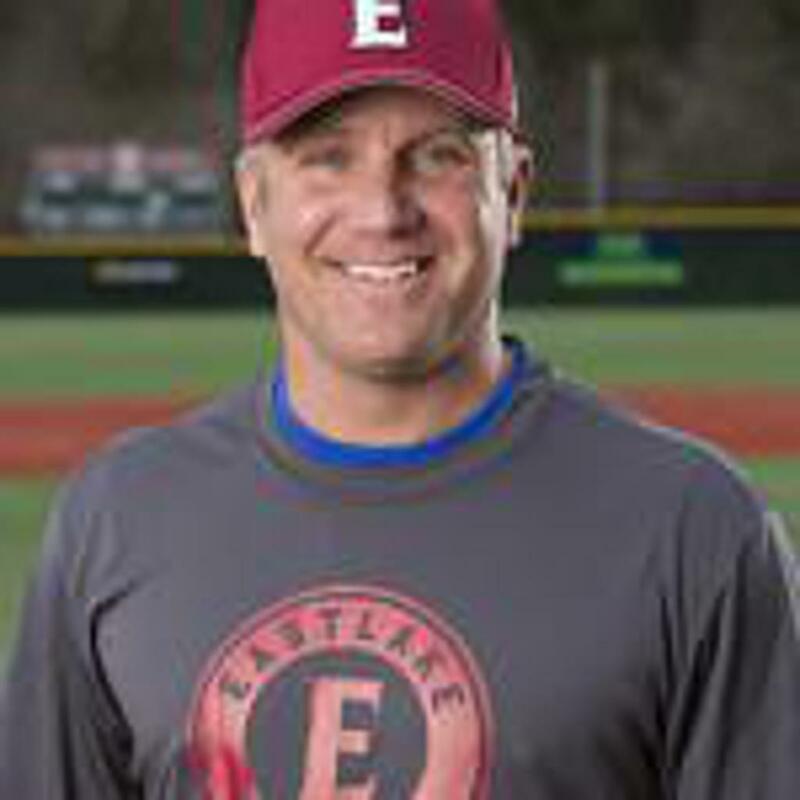 We welcome Chris Tamminen as a varsity volunteer assistant coach to Eastlake Baseball for his third season. Coach Tamminen spent 11 seasons as the Skyline Spartans Head Baseball Coach. Coach “Tambo” as he likes to be called, played baseball at Sammamish High School and was a Pitcher and Outfielder. He is married to his wife Kirstin and has three children. Steve Simpson joins the Varsity coaching staff this year. Steve spend 10+ years coaching select baseball for the Eastlake Tigers, and ran the Eastlake High School winter workouts during those years. Steve has coached kids from 10 years up to 18, only taking a few years off to watch his son play college baseball. Before coaching, Steve played for 2 years at Lassen Community College in Susanville, CA, and then transferred to the University of Southern Alabama, where his team made it all the way to a final game against Wichita State, just one game short of Omaha. Welcome to the staff, Steve! Bill is a lifelong baseball player, coach, and fan. He has played, coached and managed the game of baseball for over 30 years. Bill first played 3 years high school varsity baseball at Nicholas Senn in Chicago were he pitched a perfect no hitter, and starred in the outfield as well. Next, he played at Wilbur Wright Jr College for two years, where he pitched and played center field, making the all city team his sophomore year. After JC, Bill continued onto Southern Illinois University for his junior year, making the team as walk-on reserve outfielder. After suffering a rotator cuff injury in the spring of his senior year, he took two years off to heal, and then returned to play semi-pro baseball with the old Chicago Stars semi-pro-baseball club. Bill pitched and playing the outfield for those 3 seasons, where he faced some former major leaguers. Bill become a Chicago Police Officer in 1985, and served honorably until retiring in 2008. During that time he was awarded 3 department commendations for bravery. Bill's coaching career started with little league and pony league teams from 1990 to 1998. Winning 4 league titles. he also managed the CPD baseball Blue Knights team to two league titles. In 2010, he moved with his wife, Tobi, and 8 year old son, Connor, to Fall City in 2010, where he then volunteered his time coaching in Falls Little league, winning 3 league titles. In 2015, he volunteered to Coach the freshman baseball team at Cascade High school in Salem Oregon, where his team finished a prefect 10 out of 10! All during these years, Bill has stayed active, playing baseball in men's senior leagues both in Chicago and then right here in the Puget Sound. In addition, he attended nine instructional fantasy Cubs spring training camps from 2002-2010. In these camps, Bill was schooled by Hall of Fame players like Billy Williams (HOF '87), and Fergie Jenkins (HOF '91), and Tacoma native Ron Santo on the finer points of playing the game of baseball. "Playing with Heart and Hustle is my Baseball motto", Bill tells us, and that always shows up on any team he graces. Brady joins the JV coaching staff this year. He graduated in 2015 from Mount Si High School, and went on to coach the Seattle Wave for 2 years. He has coached 13U, 16U, and 18U baseball prior to arriving at Eastlake. Brady has played baseball since he was 4 years of age. After Little League, he played for Bucky Jacobson's team (the Bucks) for 3 years, from 13U to 15U, before playing for the Washington A's (16U), and ultimately for the Seattle Wave (18U). Brady distinguished himself as a switch hitter and a utility player. Dave Hernandez returns to Eastlake this season as the C Team Head Coach. Coach Hernandez has coached baseball for 19 years, and has been head coach/Manager for organizations from Little League to Select/Travel teams (tee ball to 15/16 yr. olds). The majority of his players have been Eastlake kids, with a fair number of them playing for Eastlake High School and some going on to play college ball. Additionally, Coach Hernandez spent 12 years coaching Youth Football (within the Eastlake Youth Football Association) and in 2017 became the Offensive Coordinator for the Eastlake High School Freshmen team.